I promise eventually not all of my recipes will be chocolate-based. It’s just, how could I resist this hot chocolate? It’s so darn cold outside, and this literally takes two ingredients. Like most things I’ve made for this blog so far, I prepared it in the microwave, and for the most part it turned out well. If I were able to simmer it a bit to melt the Nutella even more evenly, that would have been great, but I know I’ll make this again because it’s basically just as easy as making hot chocolate from those sugar-cocoa powder mix. And I found that exact measurements aren’t really all that necessary for this recipe. Just go nuts. Hazelnuts. 1. 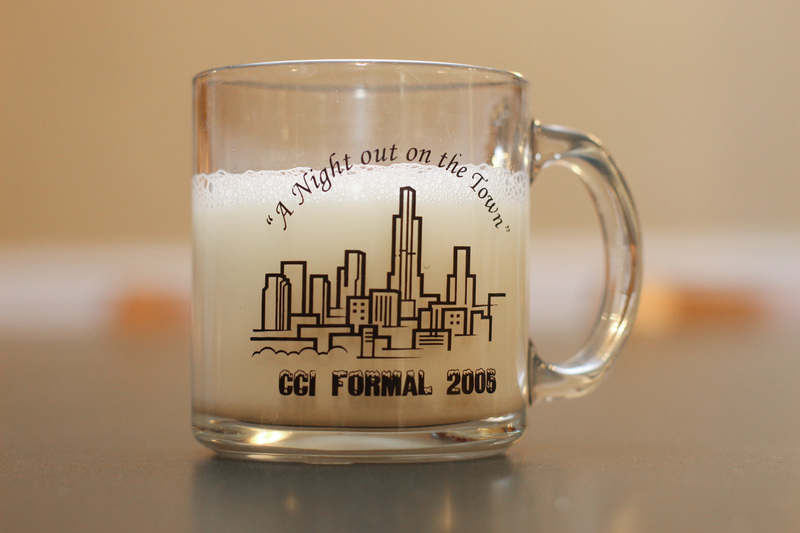 Heat milk in microwave on high for 1 minute and 15 seconds. 2. Add Nutella slowly, stirring between spoonfuls. 3. 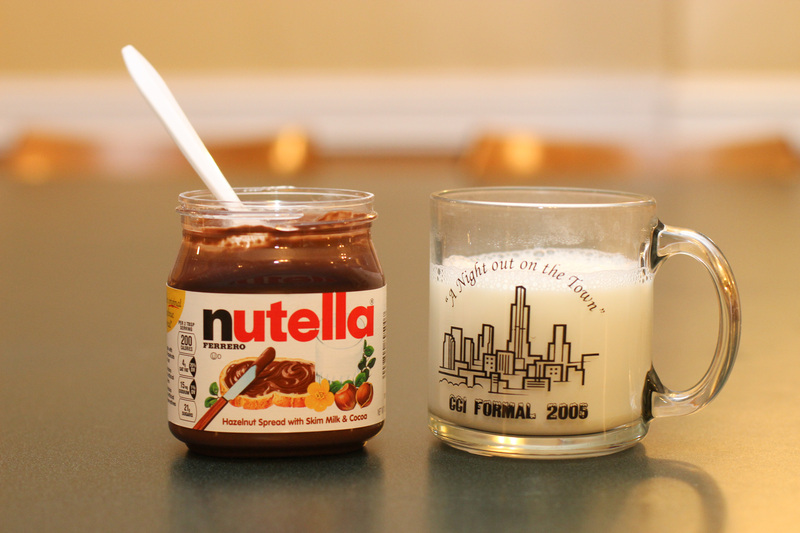 Microwave for another 20 seconds to melt the Nutella, then stir well before drinking up. 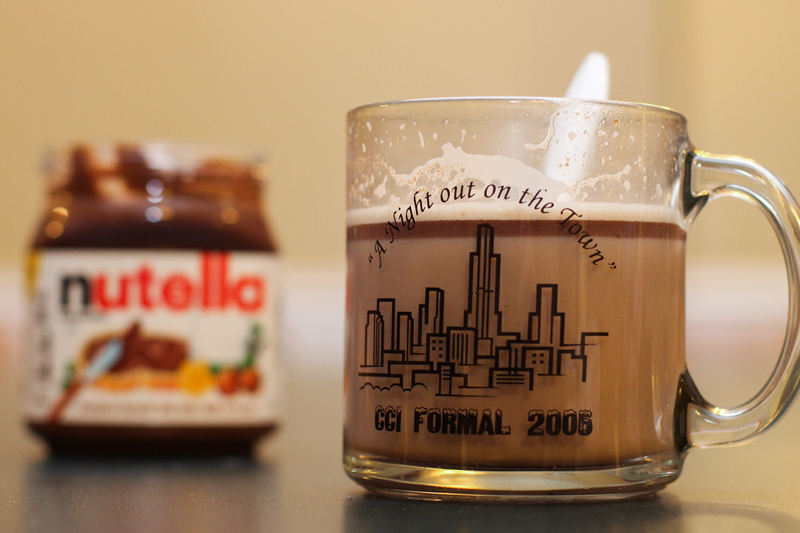 This entry was posted in drink, Recipes and tagged drinks, hot chocolate, hot cocoa, Nutella, recipes. Bookmark the permalink.